Spending on Podcast Advertisements, Content Calendar Planners, Email Marketing Mistakes, Squoosh Image Optimizer, Measure Website Performance, Gutenberg release on Dec 06, 2018, SEOPress or Yoast. “Created” is read by a lot of WordPress users and they definitely know about Gutenberg. Well, it is coming for sure on Dec 06, 2018. Keeping the panic verbiage away, just back up your website and update to WordPress 5.0 version. If something goes awry, revert to the old version or use Classic Editor plugin – all details in this “Created” edition. 1. Podcasting money… spent and earned. Check this detailed article on how podcasting advertising works to get an idea on what all you can work on making your podcast advertiser(s) friendly. 2. Content Calendar… for content planning is a known yet least used thing. Check this Content Calendar excel sheet from Quuu blog. If you prefer physical content planner, then check Content Creators Planner from Kim Doyal. 3. Email Marketing mistakes… you can avoid to keep your email subscribers as subscribers. Check this amazing video by Mike Killen (when someone gives you email ID as a subscriber, it’s your duty to respect and provide value). 1. A new image compression… tool from the Google Chrome team is good. Just drag and drop your image in Squoosh online tool to get the optimized image version on the fly. 2. Play with text appearance… in terms of hue, saturation, lightness in terms of foreground and background display with Colorable online tool. 3. Measure website… performance on a number of parameters like accessibility, SEO and best practices. Test drive this measure tool on web dev website by Google. 1. 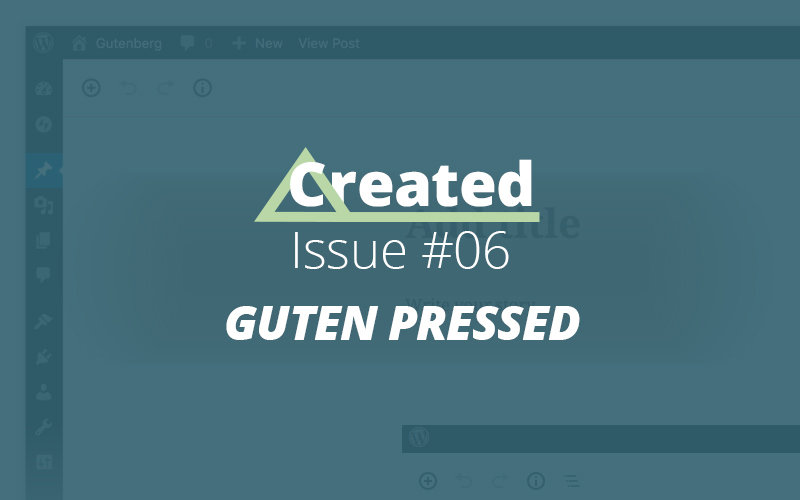 WordPress Buzz… is GutenPress Buzzz for this edition, no prizes for guessing. WordPress 5.0 with new Gutenberg editor will release on Dec 06, 2018. If you have auto updates enabled, do back up your website. 2 What if I do not like… Gutenberg editor? Well, you can install Classic Editor plugin to live in the old editor world. This plugin will be supported until 2022. 3. SEO plugin ecosystem… seem to have a new force in the form of SEOpress plugin. Yes, I bought this based on feedback provided by a lot of my informed online friends (geeks). Time to switch from Yoast? Until the next time… hope your Black Friday was splurge limited and now even your inbox will have a sigh of relief from deal alerts till the next year Black Friday.